My heart is full. As I sit here writing this I am in the midst of spending the week at our cabin in Northern Michigan with our little lady, looking forward to the family joining us later this week. A year ago she was in my belly and nobody knew it except a very small circle of people until we announced our pregnancy on Thanksgiving. Six months before that, I couldn’t have imagined this day. Just sitting here in the peace and quiet while our daughter is napping. I never imagined being somebody’s mom. It seemed like it wasn’t in God’s plan for our life. We were at peace with that possibility. So many feelings that can’t be put into words, so I’ll leave it at this: I’ve never felt more privileged or proud in my life. I’ve never had more fun, or laughed more than I do now. Life is not easy, but it sure is good. Very good indeed. Thanksgiving is almost here! My favorite day of the entire year. We make it a point to have our Thanksgivings be delicious and very laid back. Lots of food, laughter, and outdoor activities. And pie. Sorry football, we don’t really have any interest in you. I do love the Macy’s parade though, so I’m not a total rebel. 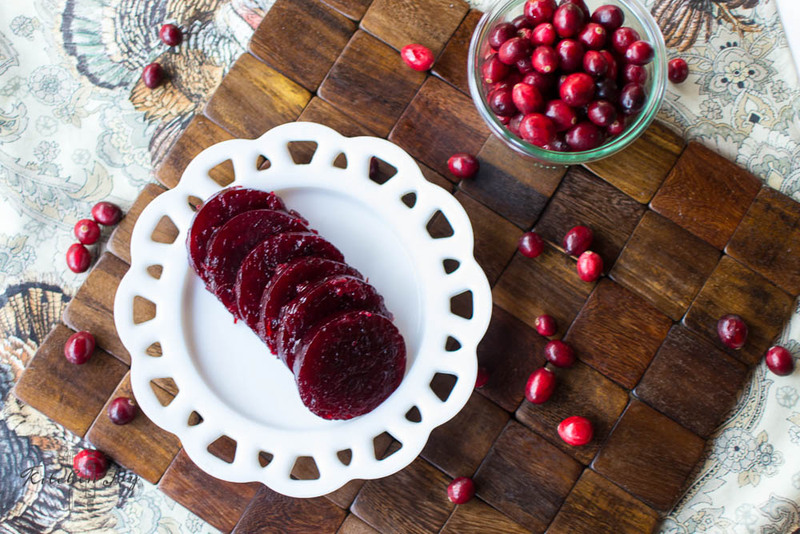 One of the staples at our Thanksgiving table is cranberry sauce. I like the good, homemade cranberry-apple relish that boasts whole cranberries, chunks of apples, and a hint of cinnamon for good measure. My husband is a die-hard canned fan. He doesn’t ask for a whole lot, but if I were to forget to supply jellied cranberry sauce, I wouldn’t hear the end of it. 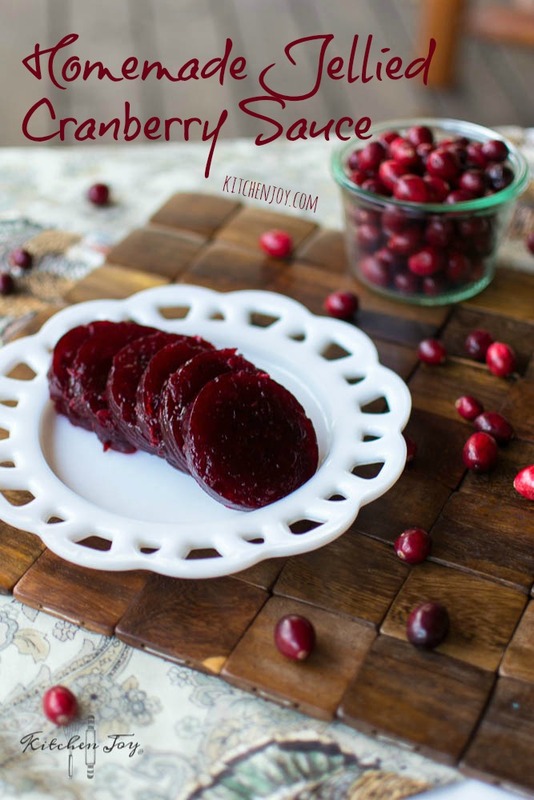 I typically buy jellied cranberry sauce because I figured that to make it would be a hassle, requiring gelatin and other ingredients I don’t typically have on hand. False. 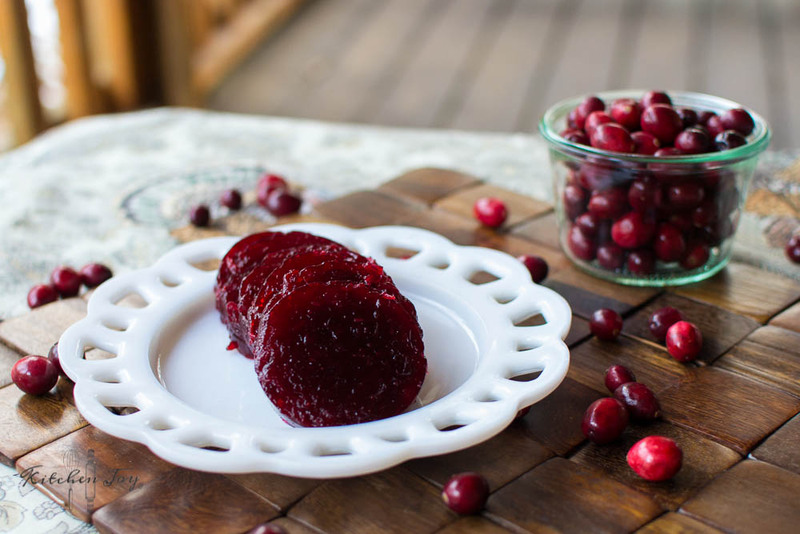 Homemade canned cranberry sauce could not be easier to make yourself. There’s no gelatin or pectin or anything like that. 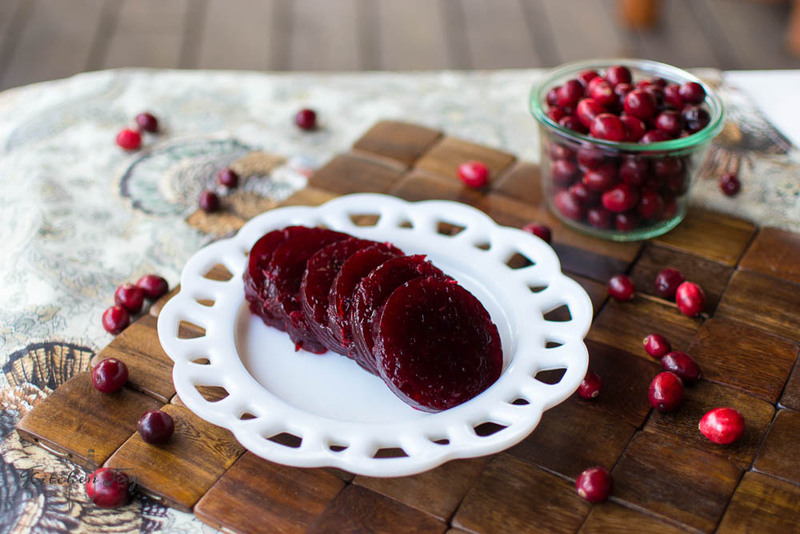 The sauce sets up from the natural fruit pectin in the apple cider and fresh cranberries. Yes, apple cider. I’m warning you. This is good stuff. I’ve been converted. There are only 3 main ingredients. Apple cider, honey, and fresh cranberries. I also add a bit of ginger and cinnamon. 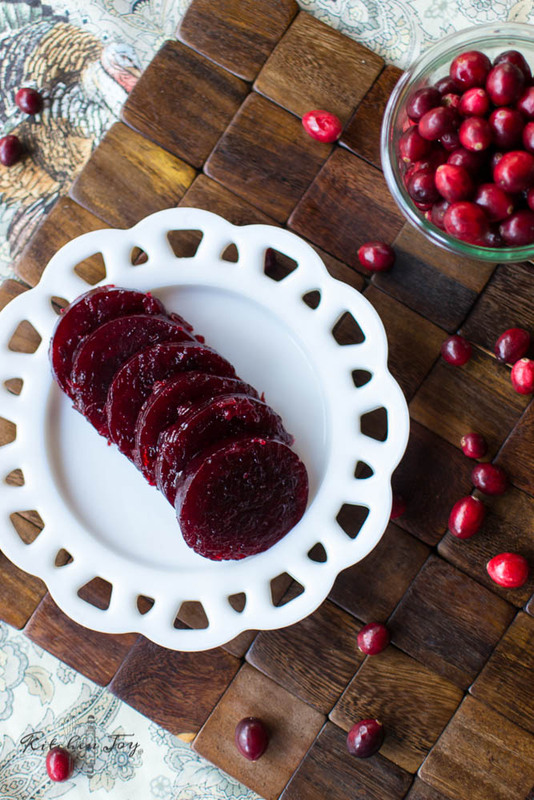 Making homemade jellied cranberry sauce only takes 30 minutes of actual cooking, then 4 hours (or overnight) in the fridge to chill and set. In a medium saucepan, combine the apple cider, honey, ginger, and cinnamon. Bring to a boil over medium heat. Once boiling, reduce heat and simmer for 5 minutes. Spoon sauce into cans or other desired vessel. Refrigerate 4 hours (or overnight). When ready to serve, turn can upside down over a serving plate (run a paring knife around the sides if necessary to loosen the sauce). Slice and serve. I hope you all have a wonderful, delicious Thanksgiving!